To Find The Right ADS-B Solution For You Click Here! Solution For You Click Here! The only FAA certified helicopter aerobatic pilot signs autographs at Aspen Avionics’ booth on Wednesday, March 4 at 2:00 p.m.
Albuquerque, NM February 24, 2015: Aspen Avionics (Booth #3164) announced today the company is hosting an autograph session with Living Legend of Aviation Chuck Aaron at HAI’s Heli-Expo on Wednesday, March 4, 2015. 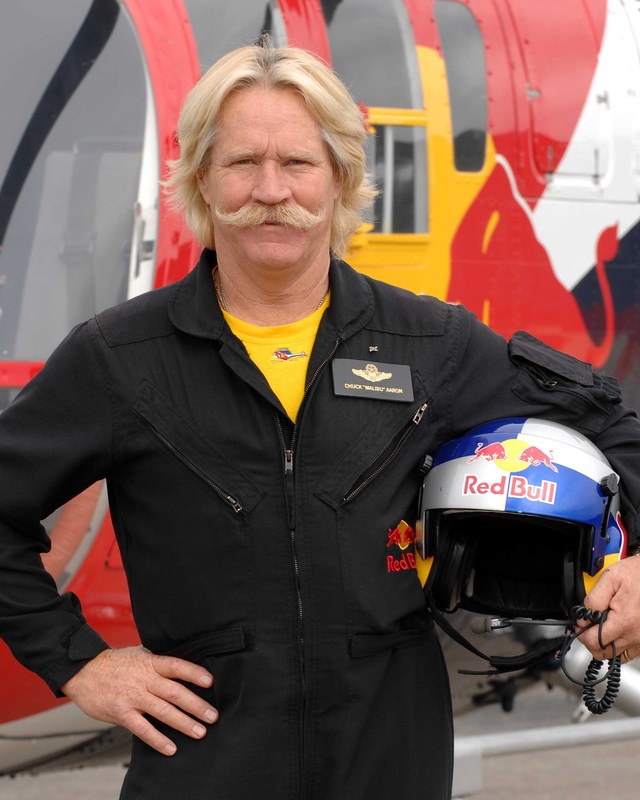 Chuck is the only pilot licensed by the FAA to perform aerobatics in a helicopter in the United States, and one of only three such pilots in the world. Chuck is also a member of the Society of Experimental Test Pilots (SETP). Chuck flies the infamous Red Bull aerobatic helicopter. He performs aerobatic maneuvers – loop, roll, vertical climb, Split S, Cuban Eight, Immelman, and “Chuckcevak” (his version of a Lomcovak) in a modified MBB Bo 105. He is also the first helicopter pilot honored in 2009 with the Art Scholl Showmanship Award given by the International Council of Air Shows. He will be available to meet and greet HAI attendees and provide autographs on March 4 from 2:00 to 3:00 p.m. in Aspen Avionics’ booth #3164 during Heli-Expo 2015. Chuck’s relationship with Aspen dates to when he installed Aspen displays in his 1978 V-Tail Bonanza. “Chuck has been a friend of Aspen and we are honored to host him at our booth at Heli-Expo 2015,” said Aspen Avionics president and chief executive officer, John Uczekaj. Download Chuck Aaron image here. We took time out from Sun ‘n Fun to try out Aspen’s latest products. Plus, the company has a first-of-its-kind upgrade program. NEW VIDEO: Aspen Avionics ADS-B Integration - Get weather, get traffic, get compliant. Aspen Avionics AT300 Now Certified! © Aspen Avionics, Inc. All rights reserved.